Now let me admit to a personal interest in all this. Modern Art and the death of a culture was published in 1970 and about that time I attended a lecture Rookmaaker gave in Cambridge, under the title 'Three steps to modern art.' I still remember the rage I felt as, standing in front of particularly beautiful painting by Monet, he invited us to see it as no more than an expression of doubt as to the validity of the appearances of the external world and the supposedly eternal laws of nature. But my rage came to a boiling point when he showed us one of Robert Delaunay's Fenêtres series, dismissing it as a retreat from the revelation of Picasso into a merely decorative abstraction. 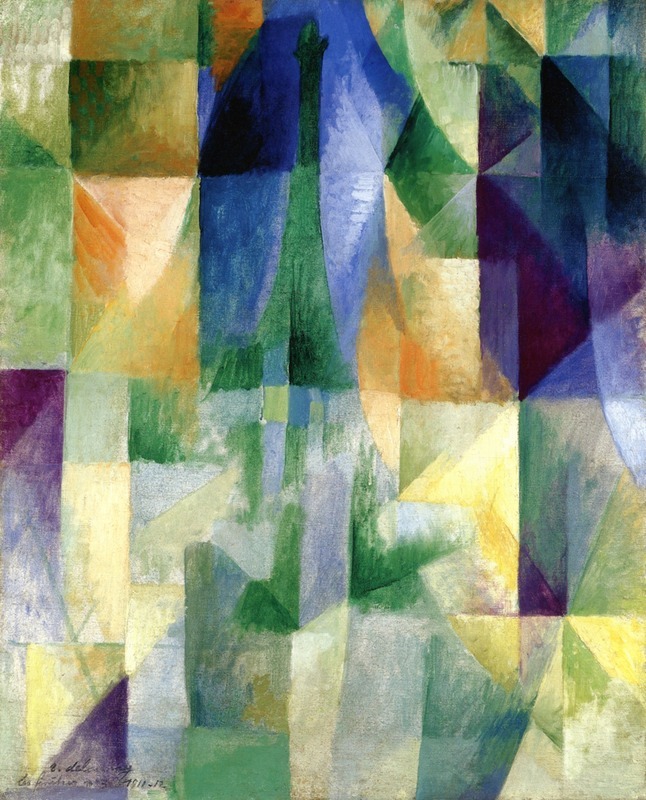 I regarded Delaunay's Fenêtres - then, as now, fifty years later - as among the chief glories of twentieth century painting, paintings that, together with the following Soleils and Lunes, were big, pregnant, with possibilities for the future. I had just spent my Summer touring France to see the paintings of Albert Gleizes, and had come back fully persuaded - then, as now, fifty years later - that it was Gleizes, more than Delaunay himself or anyone else, who had been able to develop those possibilities. As I spluttered out my indignation in the discussion that followed I gave Gleizes's name as the man with the answers to the questions on the meaning of art that Rookmaaker had posed. I think it was surprise that anyone should have mentioned the then quite obscure name of Albert Gleizes, rather than any real malice, that prompted him to reply that he had always thought Gleizes was a very minor, fourth rate painter- which didn't do much to calm my wounded feelings. At the time it was entirely painting as a thing in itself that interested me. Insofar as I was aware that there was a theological/philosophical dimension to Gleizes's work I didn't pay much attention to it. Had I done so, I might have noticed certain elements Gleizes and Rookmaaker had in common. The paintings of Monet and Delaunay do indeed, as Rookmaaker suggested, represent a shift in the way in which we experience the world. And, as one of his admirers puts it: 'Rookmaaker dared to ask the question "What is at stake in twentieth century art?" As the title of his book suggests, Rookmaaker regarded modern art as a matter of life and death.' (4) And so did Albert Gleizes. (4) James Romaine: 'The legacy of Hans Rookmaaker: So what?' Summary of a contribution to a symposium on Rookmaaker organised by the online journal Transpositions - http://www.transpositions.co.uk/hans-rookmaaker/. (5) In eg the Introduction to Mark Antliff and Patricia Leighton (ed): A Cubism Reader - Documents and Criticism, 1906-1914, University of Chicago Press, 2008. (6) Daniel Robbins: The Formation and maturity of Albert Gleizes: a biographical and critical study, 1881 through 1920, Ph.D. thesis, New York University, 1975 (made available through Xerox University microfilms, Ann Arbor, Michigan). (7) The exhibition Gleizes-Metzinger, Du Cubisme et après, Musée de la Poste, Paris, and Musée de Lodève, 2012-3, provided an opportunity for one of the guilty parties, Serge Fauchereau, to express repentance. 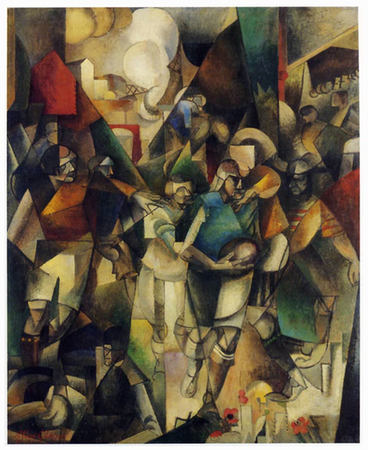 Gleizes took the view that art embodied a 'state of mind' (état d'esprit) that was the state of mind of its age, common to all other areas of human activity - science, philosophy, agriculture (during the war he became a farmer), industry. This état d'esprit could be likened to Dooyeweerd's 'religious ground motive'. Like Rookmaaker, he saw Cubism as marking the end of a cycle which had started with - or been most fully manifested in - the Italian Renaissance, whose religious ground motive could be called Humanism. Like Rookmaaker he saw Picasso's Cubism as actually being a continuation of the Humanist impulse beyond the point at which it was possible to believe in it and therefore opening up the drive towards Nihilism (8) that becomes the main theme of Rookmaaker's book. He was the more aware of this because, both in Paris and New York, he was closely associated with two of the leading figures in this drive towards Nihilism - Francis Picabia and Marcel Duchamp. He was present at the birth of 'New York Dada' and this played an important part in his own conversion to Christianity which occurred in the context of what I have described elsewhere (9) as a virtual nervous breakdown, prompted by despair at the war and by the direction his friends were taking in response to it. (8) I am unhappy with the word 'Nihilism' since the classic Nihilists such as Bazarov in Turgenev's Fathers and Sons or the main characters in Chernyshevsky's What is to be done are positive believers in science and progress, whereas the 'Nihilism' dealt with here is a refusal to believe in anything. 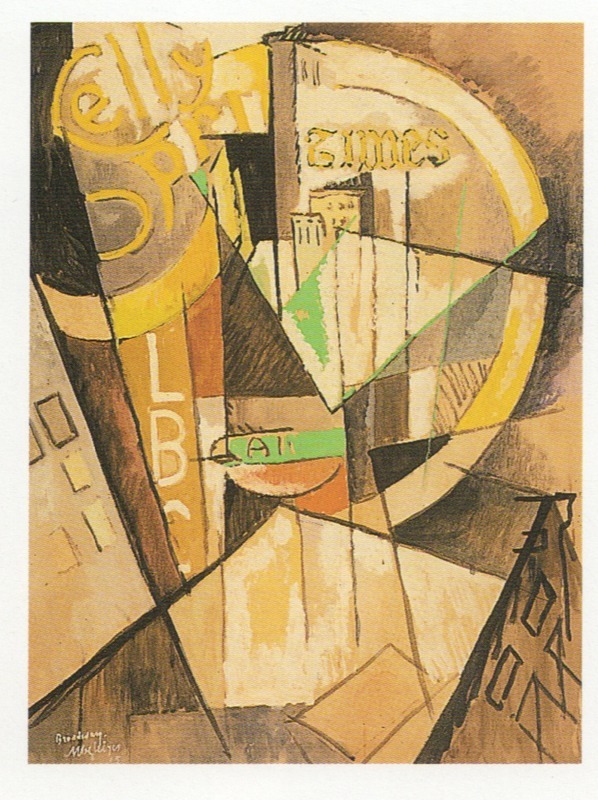 (9) Peter Brooke: 'Albert Gleizes à New York' in Albert Gleizes, Le Cubisme en majesté, Museu Picasso, Barcelona and Musée des Beaux-Arts, Lyon, 2001. (10) Maurice Denis: 'A Definition of Neo-traditionalism', first published in Art et critique, 23 and 30 August, 1890. Republished in Denis: Théories, 1890-1910; du Symbolisme et de Gauguin vers un nouvel ordre classique, Paris, Bibliothèque de l'Occident, 1912. A full translation is available in the Art and Religion section of the present website.